Are you having some trouble signing into cTrader for the first time? Or has it been a while since you last used cTrader and are having some issues getting back into your account? The most important thing to know about is cTrader ID and what it is. This guide will help you to start enjoying what cTrader has to offer. When you start using a new piece of software, it can sometimes be a bit puzzling, to begin with. Many traders can get themselves a bit confused when signing into cTrader for the first time. Especially because there can be a lot of things to keep track of, such as your login details to your broker’s website where you submit your KYC documents, made deposits and request withdrawals as well as any accounts you may have for other trading platforms. The most common reason for sign in troubles is that you were not provided with clear instructions from your broker. Let’s take a look at a typical scenario for a new cTrader user, signing up with a new broker. When you sign up with a new broker, you are given credentials to your profile on their website. This area goes by a variety of different names, such as secure area, client area, client cabinet, traders room and possibly others. This area may even be named something unique to tie in with their brand, like FxPro Direct. These are credentials you get when you sign up with your broker are usually for accessing your profile on their website, not for your trading platform. This area is for you to manage your account with your broker, this is where you do KYC, manage your funds, create accounts for the trading platforms they offer and a lot of other features that vary from broker to broker. Once you create your cTrader trading account with your broker in this secure client area, that leads us onto our next hurdle. If you have never used cTrader before you should expect two emails from [email protected]. The first email will enclose details of your cTrader ID, the subject of this email will be “Welcome to cTrader ID”. This is your email address and an automatically generated password. You will need to click the button to verify your email address. The second email you will receive contains details of your trading account. The subject of this email is “Account linked to cTrader ID” and does not have a password. If you have used cTrader before either with another broker or a demo from Spotware cTrader Public Beta then you will only receive the second email (mentioned above) with details of your trading account. The reason you only get the second email is that you already had a cTrader ID, whether you were aware of it or not. The confusing part is that you received your account number without a password. So how do you log in without a password? You log in with your cTrader ID, not trading account number. A big difference between cTrader and other trading platforms (like MT4 and MT5) is that cTrader does not work with account numbers to sign into the platform, but rather your cTrader ID. The neat thing about a cTrader ID is that it will work with all cTrader Brokers you have an account with. This idea might be a bit confusing to start with, but the main benefit of this concept is that you don’t need to remember lots of different account numbers and passwords for different trading accounts and brokers, just one, your cTrader ID. Another common issue is users being confused that they can’t see all of their cTrader accounts when signed into their cTrader ID. 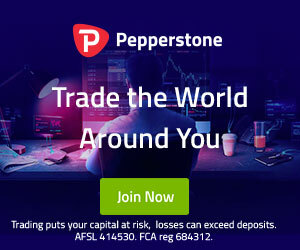 Slightly contradictory to the above one account for all brokers concept, you can only find your Pepperstone accounts when you are in the Pepperstone version of cTrader. Likewise, you can only see your IC Markets account when in the IC Markets version of cTrader. Accounts with any other brokers will be hidden and can only be used when you are using that brokers own branded version of cTrader which you can download directly from their website. If you already had a cTrader ID created with your email address but didn’t know about it, then in order to continue using it, you will need to reset your password. That can easily be done at id.creader.com/reset. Just enter your email and follow the steps to reset. Once you have your new password, you are ready to start using cTrader. Previously, you may have been used to signing into cTrader by using your account number, however, that option has been phased out by cTrader in favour of cTrader ID. So if you took a short break from using cTrader and completely didn’t recognise how to sign in, this is why.